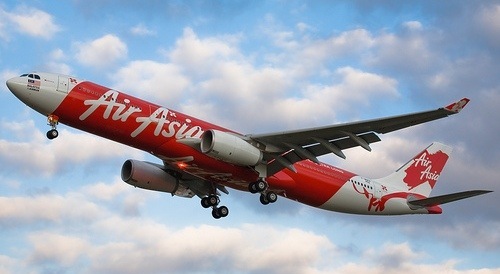 AirAsia X, part of Asia’s leading low-cost carrier AirAsia have announced their intention to provide low-cost, long-haul flights between Europe and the Asia-Pacific region. The intended launch is scheduled for March 2009 and will feature flight services between London Stansted and Kuala Lumpur. The flights are aimed at undercutting the fares of existing full-service network carriers by 40 to 50 per cent. As more and more Brits buy second homes in Malaysia, this could potentially be a great booster for overseas property purchases. The “Malaysia My Second Home” (MM2H) program has been increasingly popular with British investors since it was introduced in 2002. Lead-in fares will start at £99 ($151) one way. This fare includes taxes and charges. Average fares are expected to be about £150 one way. The chief executive and founder of Asia’s low cost air carrier, Tony Fernandes is convinced that the new airline will revolutionise air travel between Asia and Europe. The company plans to offer around 20 percent of low priced seats. We believe that besides the obvious, the launch of this new route will also help to invigorate property purchases for both the Malaysian and European markets. The ideal seven hour flight time allows second home owners to toggle between their home and their investment property at affordable prices. Each participant is allowed to purchase residential houses at price above RM250,000, depending on the location of the property. Applicants are allowed to bring their children under 18 years old and not married as their dependants under this programme. Children who intend to continue their schooling in Malaysia are required to apply for a Student Pass and should be insured throughout their stay under this programme. The targeted route will aggressively target existing airlines, offering passengers options to travel light on the old wallet. In the future, AirAsiaX will also offer low fare competition between Australia and the UK, with the intention of being the first ever airline to do this successfully. In the past, many trials like these have not seen the light of day such as Freddie Laker’s Skytrain and People express of the US 30 years ago. Oasis Hong Kong Airlines, which launched in October 2006 between Hong Kong and London Gatwick and Zoom Airlines, which started in June 2007 between Gatwick and New York, both collapsed in 2008. One of the biggest issues of far distance travel has always been the cost of air fares. With the new launch, this might well be a thing of the past. AirAsia X, started flying in November 2007 between Australia’s Gold Coast and Kuala Lumpur. In February this year they extended their network to include flights to China and not so long ago from Kuala Lumpur to Perth and Melbourne in Australia. Sir Richard Branson’s Virgin group holds a 16 per cent stake in AirAsiaX. Eventually, the company will offer flights from Kuala Lumpur to destinations such as China, the Middle East, India, Australia and Japan.